From its frontier beginnings, the Connecticut Valley town of Walpole, New Hampshire has come to personify the quintessential New England country town. At the forefront of Walpole's picturesque landscape is its amazing collection of elegant homes and buildings that date from the first century of the town's settlement. 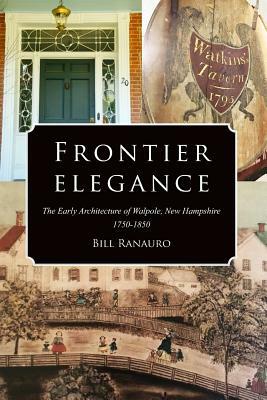 Beginning in the eighteenth century, Frontier Elegance tells the story of how architectural style developed and evolved. Originating in Europe, guidebooks helped in the migration of architectural style to the urban coastal communities of New England and eventually to the inland communities of the Connecticut River Valley. Utilizing available materials and catering to individual tastes, the people who designed, built, and occupied these structures would play an equally important and fascinating role in developing a strong community that continues to value and preserve its past.